The distinctive charm of our faceted glass jar series is sure to delight. 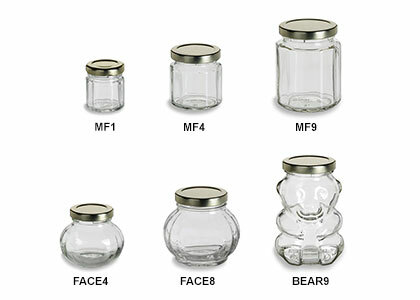 The faceted round jars are designed with two oval shaped labeling surfaces while the multifaceted jars have twelve subtle equally sized facets surrounding the jar body. All prices include jar and one piece plastisol lined gold metal lid.